Your dreams have led you here. Dreaming happens in the day and in the night. We dream about family members and strangers. We dream about conflicts at work and climate changes. We dream about movie characters and pets. Our coursework teaches the underlying principles that make your dreaming relevant and meaningful to your everyday waking life. Even dreams of dining on Jupiter with your long-deceased grandmother are significant to your daily life. “Believe in your dreams, for your dreams become reality,” is a teaching from the Cherokee Tradition that is echoed by dreamers around the world. 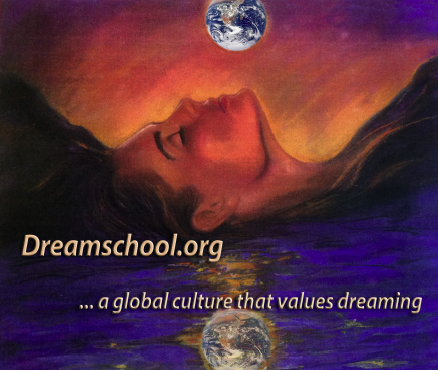 Making dreamwork part of your mindfulness practice quickly shifts your consciousness from the mundane to the spiritual as you become a member of a global community that values dreaming. Start decoding the messages in your dreams tonight! Introduction to Dream Interpretation is the first module for study in an extensive seven-course program based upon consciousness research at the School of Metaphysics in the U.S. We openly offer our lessons so that every man, woman, and child can understand the value of their dreams to their waking lives. Here’s how you begin. If this is your first time here, please “REGISTER“.